Last autumn, the customer advice group Which? announced a new scheme seeking to address concerns over customer experience. Which? 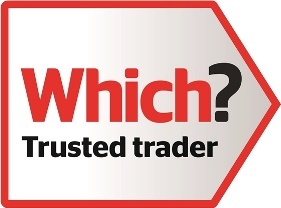 Trusted Traders was the result of Which?’s monthly surveys highlighting that only 28% of people had confidence in tradespeople. The program began with a focus on car repair and home improvement traders in London and the Home Counties but consumers could leave reviews for a wide range of businesses across the UK. As the program was extended, Which? began to contact businesses who had received exceptional feedback. With testimonials praising ‘very efficient and helpful employees’ and a service that was ‘exemplary,’ Cotswold Computer Medic made that shortlist. Cotswold Computer Medic is the only IT Support and Sales company in the South West to have met the standard set by Which? Trusted Traders on 1st November 2014.